I’ve used the OpenDNS server for some time as my primary DNS server on my OpenWrt router. 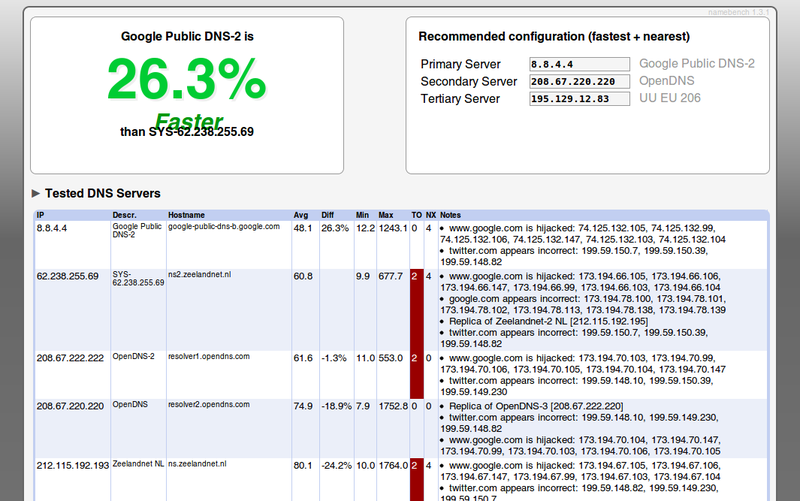 However, I asked myself the question if it was actually faster then my ISP’s (Zeelandnet) DNS server. 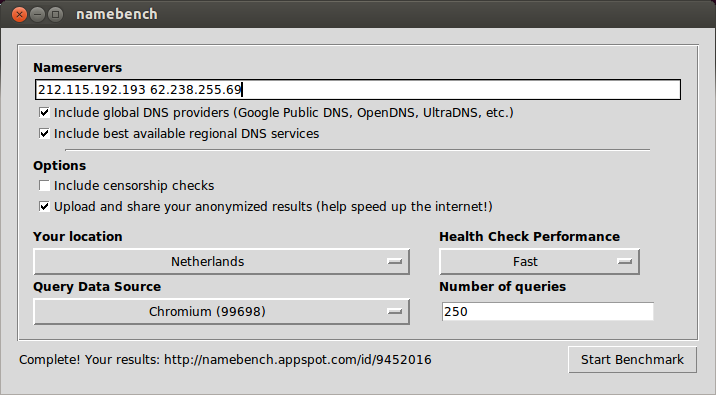 A quick search online produced namebench as nice software to measure/benchmark the fastest DNS provider. Openbench is available in the Ubuntu software repositories so a apt-get install openbench was enought to install it. It looks a bit archaic because it uses the Tkinter toolkit but it’s very user-friendly and very easy to use. After filling in the ISP’s nameservers and pressing start I takes a few minutes to do the benchmark. Then you’re rewarded with a nice report. You can view it locally or decide upload it to App Engine website. I chose that option and the result can be found here. Because I don’t trust Google with my DNS requests I decided to stick with OpenDNS as my primary DNS provider and my ISP’s as secondary server.